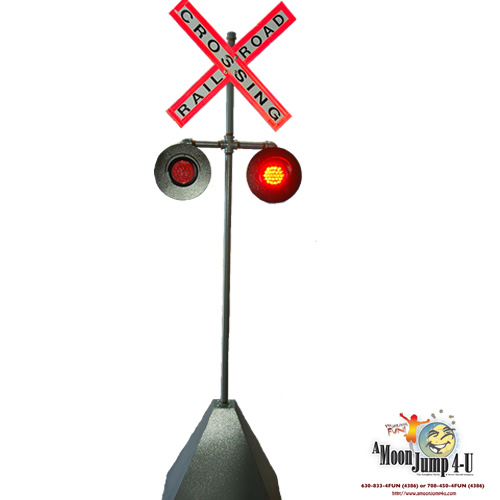 This authentic 6' large railroad crossing sign flashes to your guest a sign of a true no holds bar event. Add this to your train rental or for flavor for a theme. We have many products from you to choose from to make your next event a huge success!